The word ‘institution’ is bandied around rather freely, but the word is a perfect fit for Chez Léon. This former friterie serves simply the best mussels in town and much more – you have to try their house beer. 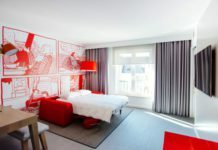 Located in the heart of historic Brussels, it has a nice mix of tourists and locals. In 1867, Léon Vanlancker set up business within a stone’s throw of Brussels’s landmark location, the Grand Place, to run a five-table restaurant called A la Ville d’Anvers. In 1893, he moved a few metres from there to 18 rue des Bouchers and opened Chez Léon. 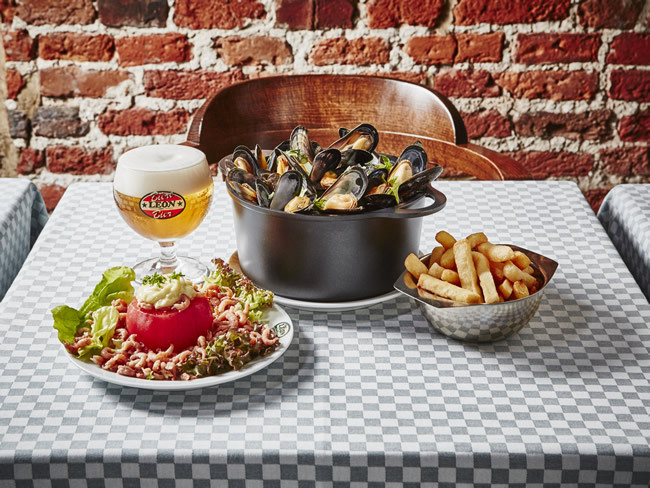 Real growth started from 1958 when Brussels became known as the capital of mussels and French fries. Since then, the Vanlancker business has continued to expand. Today, Chez Léon extends to nine buildings and more than one thousand meals are served every day. 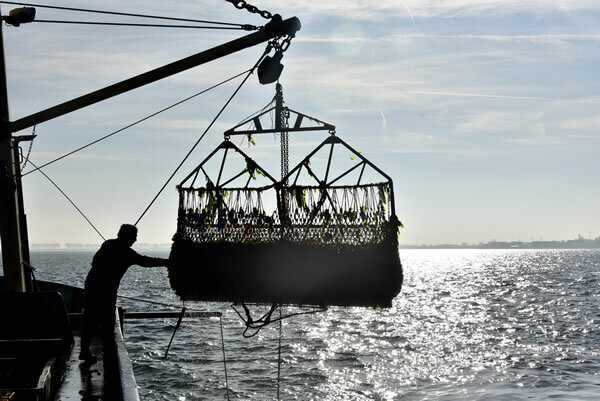 Last year, Chez Léon sold 180 tonnes of mussels. They tell us that the mussels will be huge this year, sweet, fleshy, delicate and tender. They have a dozen different mussels dishes: the ‘special’ with celery, onions and butter, or with cream, white wine, curry, the southern special with tomatoes and peppers, or the poulette version with either white wine or cream, and mushrooms and chives. Then there are the mussels au gratin with snail butter and garlic and herbs, Provencal or fried, accompanied by tartare sauce. But have you heard of ‘Le Complet’? The reference has somewhat disappeared from Brussels taverns. The cry “le Complet, chef!” used to be heard in the breweries of the city, but no more. Except Chez Léon, a sort of guarantor of good taste and authenticity when it comes to all things Brussels. Ask for ‘Le Complet’ and you will hear the order resonate in the kitchen, then your waiter will arrive at your table with tomato shrimp, a pot of mussels, fries and a cold glass of the house blonde.